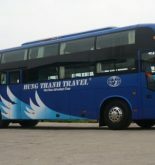 Bus route: Ho Chi Minh City – Phan Thiet – Mui Ne – Nha Trang – Hoi An – Da Nang – Hue – Hanoi. Hanh Cafe bus company has nearly 20 years experience in the passenger transport sector. Hanh Cafe specializes in providing bus services 40 beds and 45-seat high quality. To go to Hoi An, you can buy tickets from the famous tourist destinations: Ho Chi Minh City, Phan Thiet, Mui Ne, Dalat, Nha Trang. Note: Therefore, you should buy tickets directly at the ticket offices of Hanh Cafe bus company, or booked through travel agents, or buy at the hotel if they selling Hanh Cafe bus ticket. Route Ho Chi Minh City - Hoi An 850 km long. Each day there are two bus trips run this route, depart at 8:00 am and 8:00 pm. Time moves for about 17 hours. Fares around VND 400,000. This content has been supplied by Hanh Café company. 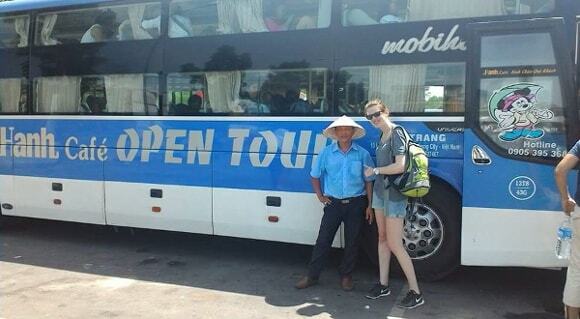 Open bus: Hanoi – Ninh Binh – Hue – Hoi An – Nha Trang – Da Lat – Ho Chi Minh.